Why not consider nudging a writer you know whose book you love, to consider entering this contest? Why not make a decision to read the books that are eligible for the Alliance Award, so you can be part of the nominating process. Writers and publishers, the Realm award, the primer speculative fiction award, is in progress. Well, more accurately, the submission process is in progress. Did you catch that date? Submissions will be accepted until midnight (Eastern time), January 21. That’s in one week, folks. One week! Unfortunately, I could not find the Realm Makers statement of faith online. There is a contact page and I’m sure anyone interested in reading the statement to help decide if they can sign off, will receive a copy in a timely fashion. But don’t delay! 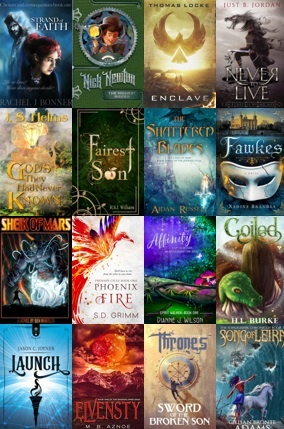 Books must be in the genre of fantasy, science fiction, horror, or related subgenre, published in 2018, either traditionally or self-published. They must be 60,000+ words, unless they are young adult which can be 50,000+ words. The key here is to start reading now! If you have a favorite author or a favorite speculative genre, be sure to read any books that came out in 2018 so you can participate in the nominating process. I don’t know about you, but I love book awards season, which always starts with this submission/nominating process. But I’ve yet to hear of a book win an award without first being submitted or nominated. A modern military provides special training for those in uniform who support warriors in action. Understanding combat support will add depth to the war stories you create. The earliest imaginable form of combat support would stem from ancient tribal warfare in which warriors (let’s be honest, they were almost always men) went out to battle and the wounded among those who survived to return home would be bandaged and given herbal remedies by village healers (who were, again, simply telling the truth, usually women). This generic type of scenario that played itself out throughout tribal societies across most of the globe is based on non-professional warriors, what I’ve previously called “barbarian” warriors (with no insult intended). Early human literate civilization, the Mesopotamians, were the first to specifically train warriors to fight as a full-time profession. There’s no direct evidence I know of that they also incorporated combat support specialist into their military. Yes, by the time of the Neo-Assyrian Empire, a military we know a great deal about, it’s evident the Assyrian Army marched with various types of combat support personnel, to name only some of them: cooks, baggage handlers, chariot wheelwrights, healers, scribes who managed supplies and record keeping. But these activities were handled mainly by slaves or free non-military personnel. It wasn’t soldiers in combat armor, with combat training, performing these tasks, with one likely exception. Assyrians attack the Judean fortified city of Lachish. 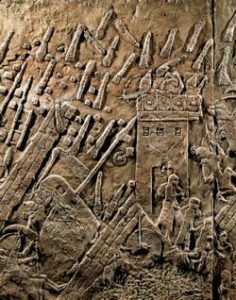 Note the tower where Jewish bowmen are shooting down at the Assyrians, who are driving up a complex weapon with a long pole (a siege engine), which is itself riding on a ramp that was constructed by Assyrian engineers while defenders shot at them. (In this time-compressed image, Judean prisoners of war are shown impaled on stakes in the background, while women and children are shown peacefully leaving the tower to be exiled to Assyria, events that probably happened after the battle was over.) Part of a relief from the palace of Sennacherib at Nineveh. British Museum, London. Military engineers, who were responsible for building ramps and bridges and various other instruments to breach enemy defenses may have been wearing armor and trained in combat. After all, their construction projects, such as the ramp leading to the wall of the Israelite city of Lachish, allowing access to siege engines that would destroy the wall (one of the high-end weapons systems of their day), was built under enemy arrow attack. It’s at least possible the engineers supervising the build represented a specific branch of the Assyrian military, military engineers. But not enough Assyrian history has been preserved to be certain of that. The advantage of having your combat support personnel receive military training themselves is based on the fact it didn’t take ancient people long to figure out you can ruin an army by attacking its supplies, or baggage train, i.e. its combat support. The ancient solution to this problem was to divert combat troops to guard duty, protecting the supplies and support personnel. A military member with a non-combat job can be ordered into danger where civilians would be hesitant to go–and where they might have no idea what to do if they came under attack. In the Twentieth Century, the idea of training combat support troops really took off, modern militaries increasingly embracing the notion than they should be able to provide for themselves with support personnel in uniform. In World War I, roughly two-thirds of US troops were in combat specialties, only one-third support. By WWII, the support outnumbered the combat troops by 60% to 40%. In Korea and Vietnam, the WWI proportions flipped, so that only one third were combat forces and two thirds combat support. For the Cold War military in Germany, only 25% of the troops in uniform were combat arms specialists–75% were combat support. It could be that the trend to reduce the number of combat support personnel increases over time. Though it could be that militaries of the future will turn both combat and non-combat roles over to robots and automated systems, in certain jobs, non-combat specialists are unlikely to ever be replaced (e.g. troop transport pilots), whereas in other jobs (e.g. cargo truck drivers), robots will likely take human jobs as soon as it’s feasible to do so. All things considered, he proportions of combat to combat support personnel should stay about the same for the foreseeable future. First of all, I want the readers of this series to be aware of the existence of combat support military personnel. Many readers of this site are fantasy writers and fantasy worlds usually parallel medieval or ancient models of warfare. So your stories may not include non-combat specialists who are part of military organizations, i.e. personnel who receive military training. Yet the things the combat support specialists do need to be done by someone else. You need to keep that in mind. Second, you should be aware of how already-existing speculative fiction has a times focused on combat support specialties. 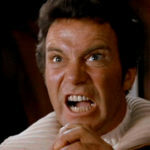 Star Trek has done so extensively, as Travis C will mention. Fourth, I want story makers to be aware that stories can be told from the point of view of combat support troops–and such stories are not necessarily less interesting than hearing about the most elite troops fighting as consummate professionals. This especially relates to the fact many groups in the history of Christianity have been pacifists–but as combat support soldiers, they could be thrust into a combat situation nonetheless (as per Hacksaw Ridge and my own science fiction short novella on Amazon, Unknown Biologic). Travis C here with some helpful illustrations of our combat support topic. To highlight Travis P’s last point, my favorite series in recent years is Glen Cook’s The Black Company, which is told through via point of view of the mercenary company’s doctor, who happens to function as the Annalist or historian. In this role, Croaker has first-hand knowledge and a legitimate reason to describe the deeds of the Company, and I feel the series is better because of that unique viewpoint. What functions need to get accomplished? Travis P mentioned several: medical, logistics of moving troops and supplies, the supplies themselves, quarters for troops, repair and maintenance of equipment, other engineering needs, etc. Who is going to accomplish those functions? Regular troopers, trained but non-fighting personnel, volunteers, families, slaves? 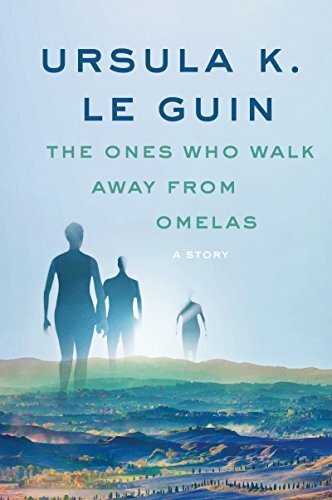 Does the success of, or lack/failure of, one of those functions become a necessary plot element in the story? If so, what additional detail should be developed to add color to the picture? 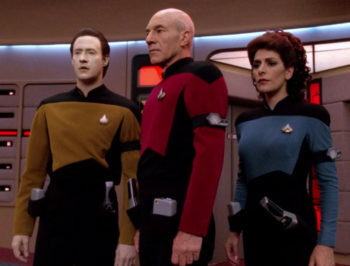 In particular during The Next Generation, Star Trek used color to train its viewers to identify the various roles found across the Federation’s Starfleet. Three primary colors: red, blue, and gold, were an easy way to distinguish between Command, Sciences (including medical), and Operations. Red and Gold uniforms kept the ships running and may and may not have been directly related to combat, but blue uniforms were a clear sign of a combat support specialist. As an audience, we had expectations for any character depending on the color of their uniform. Red represented leadership and tactical training, blue an intellectual mind and appreciation for research and exploration, and gold the detail-oriented mind of an planner and engineering expertise to run a warp core. As expected, the writers of successive iterations of the Star Trek universe then flipped those expectations on their heads. The interplay between divisions yields great plot lines to explore ethics and relationships among characters. Every George R.R. Martin reader knows the Night’s Watch has its own maester to perform record keeping and healing. 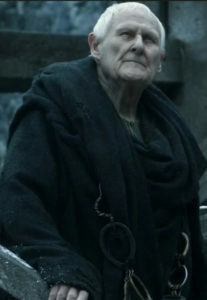 The clink of their maester’s chain identifies those trained by the Citadel. 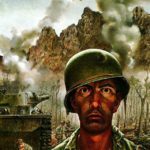 There’s probably a unique way you can easily help readers identify with the combat support functions, understand how they are different from the combat arms characters, and help build structure in your world. That’s probably not a surprise, but I think it’s safe to say even the “barbarian” form of combat support garnered no small amount of tension. One party is doing the fighting, right in harm’s way, and subjecting themselves to imminent danger. The other side is waiting in the wings, perceived as being away from danger, but likely at more risk since the enemy knows how critical these roles are. Grunts are just dumb killers. Support are just scared weaklings incapable of doing more. You likely know these tropes already. We’ve used Brandon Sanderson’s Stormlight Archives several times already, but here’s an example of the use of bridge crews (manned by slaves, unprotected from enemy fire, yet vital to movement of the armies across the Shattered Plains) to meet a critical support function with significant contrast to the armies and Brightlords conducting combat. Sanderson not only uses Kaladin as one of his main characters, but also uses the tension between organizations to drive the plot forward. David Farland’s second book of the Runelords series, Brotherhood of the Wolf (not to be confused with a film with the same name), does an excellent job of using the connection between Runelords who take endowments of power to those who give up those powers ( called Dedicates) to drive the story forward. The military cannot function without the enhanced abilities of strength, metabolism, wit, and senses that the Dedicates give up. At the same time, these Dedicates are ideal targets for military action since killing a Dedicate will immediately remove that attribute from the bearer. 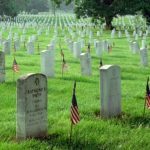 The Dedicates require significant protection, at the cost of military flexibility. Farland excellently uses this interplay to develop characters and add tension to the plot. Lastly, and in line with my shared favorite, consider if you should add a different point of view to your story. We’ve all heard stories told from the perspective of the knight, the lord, the king, the starship captain, the great-grand-poobah. We’ve also watched the unlikely hero become a military mastermind (and as we’ve discussed earlier in the series, just how unlikely that is). 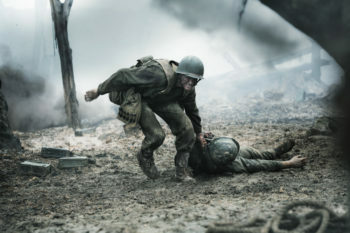 What about the war told through the eyes of the frontline surgeon? The sapper digging under the castle walls? The cook hearing everyone’s stories at the end of the fight? The engineer keeping the hypercore going on that rust-bucket starfrigate? It may not be the primary point of view or main character you develop a story around, but these secondary characters can add a lot of detail in interesting ways as interludes, prologues and epilogues, or even just scenes spread through the story. Just like the combat arms functions, combat support has its own training needs that can add even more detail to your worlds. Maybe as backstory, maybe as a source of tension between combat functions, maybe just for fun. Being honest about how the military works in the context of your world is vital to building meaningful engagement with a reader. Plus, it’ll help you when you’ve got a few more chapters to fill and want a way to show, not tell, what’s happening in your military stories. Is the only way to survive life’s brutal realities to willfully blind oneself to the truth, as in “Bird Box”? MAJOR SPOILERS FOR THE BIRD BOX AHEAD. DO NOT READ IF YOU PLAN TO WATCH THIS FILM. 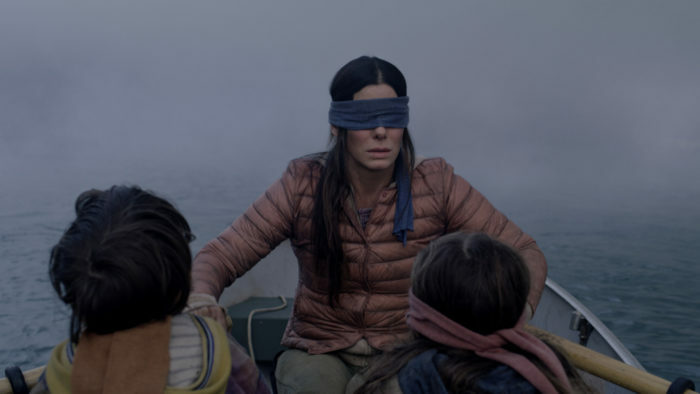 Like most people with a Netflix account, I have seen The Bird Box starring Sandra Bullock. And like many people who watched it, I was underwhelmed. I haven’t read the book so I can’t compare the two versions, but let me say that I have a high threshold for suspension of disbelief (my public professions of love for Michael Bay movies should be sufficient evidence) but even I found the central concept of The Bird Box hard to swallow. Invisible ghosts/spirits/aliens/demons/somethings that make you kill yourself only if you look at them? At least the main idea of The Happening with Mark Wahlberg made sense (humans are a disease and the Earth dispatches antibodies to kill off the infection). The Bird Box seems to be the result of a common problem in the literary brain: I have this cool idea; now how to make it into a story? Sometimes it works, sometimes it doesn’t. In the movie, if someones sees whatever those “things” are, they are driven to suicide. Yet some people, the mentally ill and psychotic, are compelled not to kill themselves, but to force others to look and die. And the entities are also sensed by animals (a good means of protection is keeping a bird in a box, sort of like a caged canary in a coal mine). 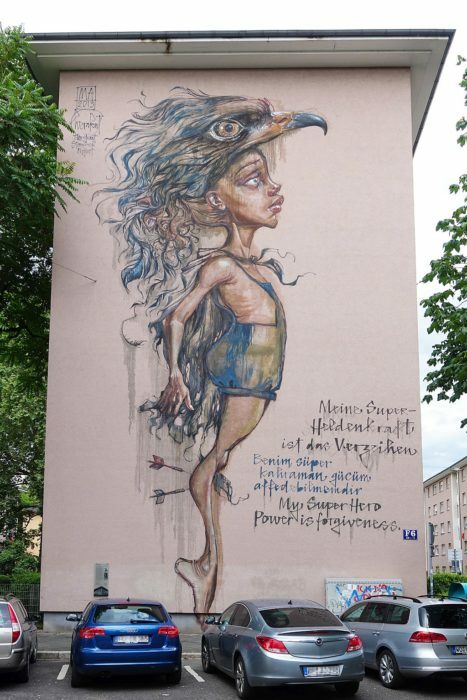 When the bird gets agitated, it means one of the invisible monsters is around. Applications for the film’s symbolism are abundant. Is the only way to survive life’s brutal realities to willfully blind oneself to the truth? Are dangerous principles only harmful if we give them any attention? Is it safer in the dark than in the light? Let’s take a closer look through the lens of Scripture and the Christian walk. 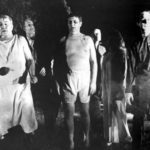 What could the suicide-inducing monsters symbolize, if we were to ascribe meaning to them that transcends the screen? They could be regrets or traumatic memories. In any instance, it is not healthy to focus on such things, especially as Christians. Psalms 103:12 tells us that God has removed our transgressions from us as far as the East is from the West. It doesn’t mean that past sins didn’t happen, but God remembers them no more (Is. 43:25) and neither should we (Phi. 3:13). Dwelling on our sinful past hurts our faith, or can turn us toward bitterness and malice, wanting to inflict that hurt on others as well, especially if we think they deserve it. Suppose the invisible monsters symbolize sin. 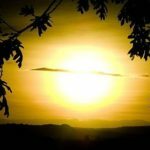 Is being blind to sin a good thing? Paul tells us in 1 Cor. 14:20 to be like innocent babies when it comes to evil, but like mature adults in our thinking. We should not know the ins and outs of sin or be proud of our detailed knowledge if we lived in sin in the past. It should not be viewed as shameful for a Christian to have no experience with particular sins. On the other hand, we should not deceive ourselves in thinking this or that sin doesn’t exist or isn’t all that bad. This is where thinking as adults comes in. Like the world in The Bird Box where the air is swarming with these malevolent creatures, sin and demonic powers are everywhere and it is only God’s grace and angelic protection that lets us make it through each day alive. We should be keenly aware of the horrors of sin around us, especially in the lives of those close to us. Yet we don’t have to get our hands dirty to minister to them. We don’t have to “look” in order to help them see Christ. Many people believe that you need to get down in the gutter to reach people that low. Perhaps for a short time, but you don’t have to act like them, talk like them, and live like them to somehow win them over for Christ. He doesn’t need our help to save anyone’s souls. Living lives innocent of sin has a stronger witness than any “marketing plan” we could come up with. If you still want to see The Bird Box, go right ahead. For me personally, though, some things are better left unseen. On this new web portal, explore topics like Aquaman’s “cheesiness,” the widow’s mite misinterpreted, and a weird search term. Wow—I’d forgotten what a rewarding challenge that is, to blog once every weekday. This shouldn’t take away from my Tuesday work at Speculative Faith (and certainly not Lorehaven Magazine). If anything, this means SpecFaith readers can expect even better content from me. Now that I’m covering, say, some nonfiction biblical articles, general geeky and popular culture, and other topics at my own site, my SpecFaith articles can focus more exclusively on our mission. EXPLORING TRUTH THROUGH STORIES FOR GOD’S GLORY. Possible exception: today’s article, which previews the last week’s stories over at EStephenBurnett.com. Can you please pray real quick that I can keep up this exhilarating pace? 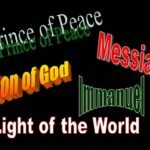 Jan. 1: Tim Keller: Jesus versus the ‘Religious People’? 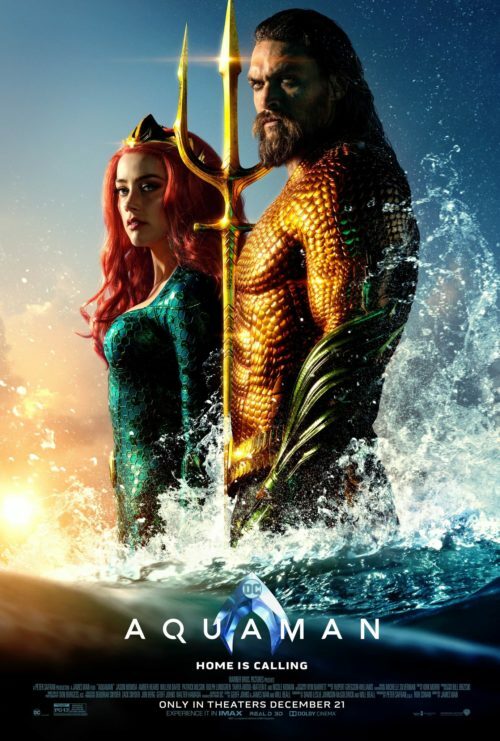 Jan. 2: Aquaman Isn’t Simply ‘Big Dumb Fun,’ So Why Do Critics Claim It Is? Jan. 7: ‘Young Justice’ Fans Actually Got the Show Renewed, So Why Do Some Still Complain? Last Friday, the new season [of the animated superhero series Young Justice] debuted with the title Young Justice: Outsiders. With one “catch.” (If you could even call it that.) DC had chosen not to host Young Justice season 3 on a preexisting streaming service, such as Netflix (where many fans, including myself, first found the story). Instead DC debuted the season exclusively on its own relatively new media/streaming service, DC Universe. On a final note, here’s one action item I neglected to share in last week’s update! Adventure requires action, and Havok Publishing wants to take you on an adventure. Entertainment is changing. Literature is changing. I received a bestselling YA novel for Christmas. It was written entirely through a series of fictional letters, medical notes, and top-secret government files. LitRPG is bridging the gap between the written word and video games, and it’s exploding in a big way. Heck, people are so hungry for something new that they’re turning to text messages for their fiction! So when I had the opportunity to take over Havok Magazine, I knew I wanted to take a fresh direction. And I knew I’d need help. 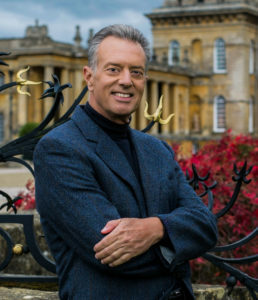 Thankfully, the Christian fiction industry has a wealth of talent combined with a sense of camaraderie and shared accomplishment. This is not always the case in the secular market. 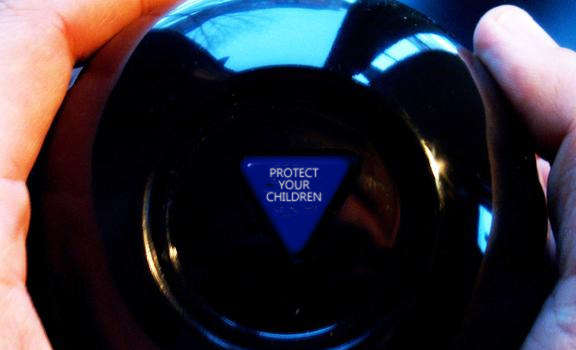 And so, we called first on Havok’s existing staff to form the new framework. Then we went on the Realm Makers community to fill in the gaps, and Havok Publishing was born. Months of brainstorming with Cerberus (the nickname Lisa Godfrees, Teddi Deppner, and I call our combined braintrust) brought us more challenges than we could have imagined. (Creating a new model from the ground up tends to have that effect.) But we’ve fought through them, and now we’re ready to show our creation to the world. 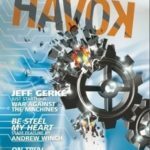 Havok Publishing exists as an ongoing competition in true gladiatorial style, providing exceptional, hard-hitting, flash fiction (always 1,000 words or less) with a speculative flavor to the widest audience possible. 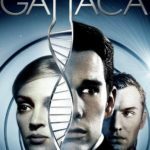 As of January 1, we post a new story every weekday on GoHavok.com, allowing readers to vote and comment on their favorites across a variety of daily genres (Mystery Monday, Techno Tuesday, Wacky Wednesday, Thriller Thursday, and Fantasy Friday) and monthly themes. And the best stories are published bi-annually in a Havok anthology alongside some of today’s biggest and best writers. In fact, our season one anthology (slated for publication in July 2019) will include stories from DiAnn Mills, David Farland, James Scott Bell, Kerry Nietz, and Robert Liparulo! But now that you know how we work and what genres of fiction we publish, you’re probably wondering what style of stories you can expect. As I said before, we aim to reach the widest audience possible. And so, we publish tight, clear, entertaining, and culturally relevant fiction while keeping everything PG-13 or lower. But more important than that, we publish stories that don’t glorify sin. Well, for example, a story may have an alcoholic main character. But the theme and plot will show his brokenness without making it sound “cool.” He may or may not find redemption from his alcoholism in the story. But the story will most certainly show his behavior as a vice, a corruption. And this same principle is applied to every sinful act, whether its nature is sexual, violent, avaricious, prideful, or otherwise. So as you can see, Havok fosters friendly, respectful competition with a community of talented writers and voracious (but oftentimes time-constrained) readers. Our basic content is free to the masses, and a few bucks gets you a ton of extras as a member of the Havok Horde. Our stories are always exciting and speak to the human experience. Sometimes they tackle worldly topics. Yet they strive to shine the light of truth, hope, love, and beauty on everyday struggles. In short, there’s nothing ordinary about Havok. 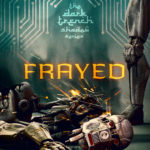 We’re mashing genres and themes together on a daily basis. We roll out these stories for free and allow readers to form their own community. We’re offering cash prizes to writers and readers alike. And we’re doing it all right now. So be sure to follow us on Facebook, Twitter, and Instagram, and most importantly, head to GoHavok.com to join in on the party! Militaries by their nature develop specialized branches of combat arms and train their warriors to master particular war-fighting specialties. This kind of training has gone through a variety of transformations over time, based on general types of weapons systems, transportation systems, and military doctrine in use. These historical patterns demonstrate models that can apply to fictional worlds. But soon, the Sumerians learned to put armed men in four-wheeled wagons drawn by either horses or donkeys, and also put armed men on river boats, linking weapons with types of transportation for the first time. The arms used with the transportation at first were of the same type used on land–axes, daggers, spears, and bows. At first, the fighters in the back of the wagons or boats probably had the exact same training as those who fought on the ground. But using them off a new platform created new challenges and eventually spurred the development of new training. 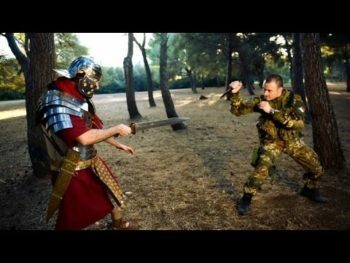 Ancient Roman versus modern Italian infantry. At even the most basic level, a military will have infantry soldiers, human beings walking into combat, with at least several basic types of weapons, including weapons designed to kill at a distance weapons and weapons designed to kill up close (i.e. “melee weapons”). (Spears and throwing axes and a few other weapons can be effective both up close and from a bit of distance). Infantry soldiers may hitch rides from various vehicles (which requires at least a bit distinctive vehicle training), but if they fight on their own feet, they are still considered infantry. Even if they carry modern, computerized weapons, they are in the same category as a Sumerian in a long cloak and a copper helmet, sporting a bronze-tipped spear. Infantry, when given the opportunity to seek shelter and fortify, are the best at conducting defense. Infantry can fortify towers, hills, and other strong points or create new strong points by digging trenches, or foxholes, or throwing up barriers. Though in the open, infantry are vulnerable to cavalry attacks. But most militaries in the history of the world have incorporated some sort of fighting attached to a transportation system into their military. Whether by wagon, by chariot, on horseback, or (in modern times) in lightly armored vehicles, these faster-moving soldiers have had tactics in common from Sumerian times to the present. These tactics include scouting ahead of the infantry, attacking enemies in the rear (or their supplies), or attacking as shock troops to crush the morale of the main body of enemy forces. This branch of the military, of course, is the cavalry. Cavalry units are generally much better at attack (and scouting) than they are at defense. Naval forces have shared a great deal in common with cavalry units in their tactics, but not long after naval forces came into use, the ship itself was used as a weapons system–ramming into enemies–in a way real horses are usually reluctant to do. 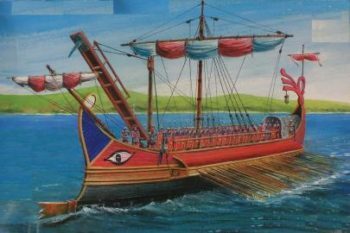 Naval ships probably rammed one another long before they developed special devices helping them do so (like those of a Roman trireme). In so doing they pioneered a different kind of weapon, a crew-served weapon, one that requires more than one person to operate. Navy forces have also had their own type of Infantry that are trained to operate on and off ships–marine infantry, or in the United States, simply the Marines. In certain times and places, marine infantry were nothing more than regular infantry put on a ship, but there are advantages to training marines a bit differently–if nothing else, they need to know how to swim. Roman Trireme with drawbridge to help marine infantry and a ship-sinking ram. Boarding ships with marines or aggressive sailors is one way to destroy an enemy ship, but navies have always sought other shipboard weapons to destroy enemy vessels. Rams became fire weapons and fire weapons became cannons and those in turn led to torpedoes and missiles. Many naval weapons fall in the category of high end capability weapons as discussed in the last post, but not all do. Deck guns are not necessarily that advanced, even when they require a special crew to serve them. What started with naval weapons crossed over to the land. Ancient armies first discovered that their calvary-type units, so effective against infantry out in the open, proved to be nearly worthless against fortified infantry. 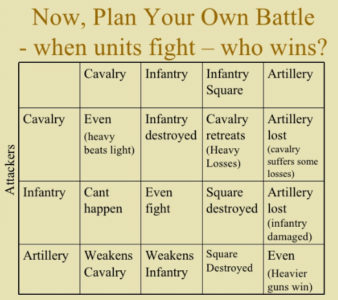 While an overwhelmingly superior number of infantry usually can take a position only held by infantry, it’s very difficult and bloody. Crew-served weapons on land, siege weapons or engines, were invented to break through strongholds. Siege weapons early on included towers Mesopotamian engineers assembled, catapults, and giant stationary crossbows called ballista. Siege weapons would eventually lead to the development of artillery, the third major branch of ground force combat arms, after infantry and cavalry. In Roman times the ballista was the most common kind of artillery, serving the basic purpose of extending the range of Roman troops to strike individual enemies through directly firing at them. Catapults, which the Romans also knew about, hurled rocks over walls in high arcs (as did the slingers in ancient Assyrian armies) into besieged cities or camps, indiscriminately killing or injuring anyone who happened to be where the rocks fell, causing enemy casualties by indirect fire. The artillery branch of the military consists exclusively of crew-served weapons, weapons that require training for a group of operators to be able to function, but which may not represent high end capabilities, depending on the nation that owns them. Once the artillery branch gained cannons, the two basic roles of direct and indirect fire remained important. Direct fire was mostly used against fortifications (and in the navy, against enemy ships), and is responsible for the fact castles are no longer effective in warfare, while indirect fire was lobbed in various ways into mass formations of enemy or locations enemy might be. Today, artillery is mostly concerned with indirect fire, but has systems that are capable of direct fire (especially guided rockets and missiles). The three main branches of ground forces: infantry, cavalry, and artillery (if we allow artillery to include siege weapons), dominated all battlefields everywhere in the world in almost all professional armies, from the time of the Sumerians up until the 20th Century, in particular in the Napoleonic Wars. The 20th Century saw the development of what we could perhaps think of as land ships–vehicles with armor like ships that can move over terrain, with weapons integrated into the structure of the vehicle itself. These weapons, otherwise known as tanks, form their own distinctive military branch, armor. I earlier commented that military doctrine (or the concepts or philosophy behind the use of weapons) affects training as much as the particular weapon warriors train for and as much as the transportation system attached to weapons use. I’m only going to illustrate that point here, with a comment on military doctrine as it affected the training for tanks. Tanks were first designed to cross trenches in World War I under enemy artillery and machine gun fire–in effect, their original purpose was to breach a specific kind of infantry defense. Later, between the world wars, the British in particular developed slow-moving tanks with the purpose of supporting infantry and faster-moving tanks with the purpose of taking over some of the roles of historic cavalry units. Military doctrine affected both the design of weapons and their use. But note that Blitzkrieg, the German doctrine of using armor units to first punch through strong defenses alongside infantry the way the first tanks did, then to rush behind enemy lines to cut off enemy formations from their supply chain, the way cavalry units historically did, made tanks much more effective beyond whatever design advantages German tanks may have had. 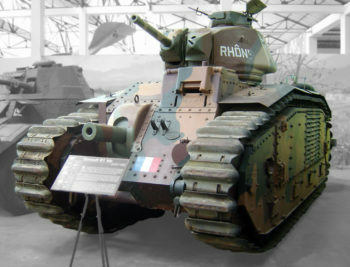 In fact, the French tanks of the early forties are generally considered as suitable for Blitzkrieg as the German tanks were, or even more so–yet since using tanks that way was not part of French military doctrine (they felt tanks should be distributed among the infantry to help them defend themselves when in the open), French tank crews were not trained on how to conduct Blitzkrieg. So they didn’t use their armor that way–much to their disadvantage. Note that armor as a military branch happened at the same time as another branch, military aviation, which both supported ground troops and in specialized formations, supported naval units (and later took on the role of fighting other air units). Modern combat arms to this day include infantry (including elite infantry, i.e. special operations forces), cavalry, armor, artillery (including artillery designed to attack aircraft), and military aviation. And of course each of these branches also exist to a certain degree within navies, including marine infantry, elite marine infantry, fast small ships like cavalry, large heavy-hitting ships that are a bit like armor and artillery rolled into one, and of course naval aviation. Each particular specialty in combat arms having its own distinctive training. While the names will change, we can expect futuristic militaries, say space-based ones, to have multiple branches that run in parallel with military organizations and systems we already know. Starships designed to fire weapons at planets or lob indirect weapons into regions of space will functionally be like artillery, even if that’s not what they will be called. 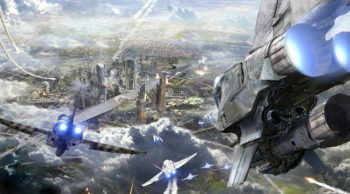 Fast moving formations of spaceships like cavalry will still be needed–shipboard infantry will probably be needed, as well as ground assault forces. The equivalent of an air force would be landing craft able to operate in planetary atmospheres, passing through the air as a bridge between space and ground. 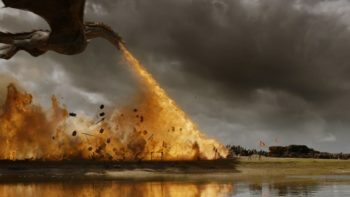 A dragon attacking the ground in Game of Thrones. Fantasy militaries can meet the needs of different branches of combat arms in different ways. Dragons could combine the capabilities of air forces and artillery. Mer-people could form a distinctive branch of underwater marine infantry. Magic could provide indirect fire weapons. Etc. 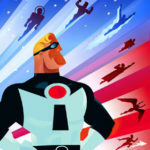 The point for this post though is that unless you write a story that portrays a society so futuristic that knowledge is directly downloaded into military members (or a society with powerful magic able to do the same thing), each one of these fighting military specialties will include its own training, which is quite distinct from other kinds. 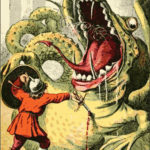 Each type of training requires time, which means that any one character can probably only master one type of fighting, or perhaps two–but not everything (a possible exception to this might be found in elves or other species that live very long lives–but even elves would have reasons to specialize in particular weapons, lest they fall behind the skill level of other near-immortals who chose to specialize). For cavalry and other military branches for which a transportation system of some kind is key, knowledge of that system, be it the back of a horse, a chariot, a dragon, a ship, or a fighter plane, is probably the most important element of training. Knights and samurai spend a lot of time with horses–fighter pilots need to spend a lot of time in the air–sailors develop their skills over prolonged periods at sea. There’s an enormous difference in the capabilities of well-trained, seasoned veterans than newbies who are fresh to the fight. For artillery and similar forces that rely on technical skills, their training embraces a wide variety of things that are not directly dangerous to the enemy, including maintenance of weapons, their operation–even the mathematics required to accurately lob an artillery shell. (In this regard, artillery and related weapons skills is most like the high-end capabilities training we discussed in the last post). Infantry troops, the most basic element of the vast majority of all militaries in world history, though they may someday be supplanted by combat robots or something similar, are the ones that most require the kinds of battle hardening and psychological conditioning that we’ve discussed in previous posts. But they also require training in their weapons systems, how to operate them, how to use them even under stress, and note that infantry weapons training does include crew-served weapons, especially machine guns and mortars (which are really like small artillery). Note that the training required for combat arms introduces the concept of combat arms itself. While we will say more about combat arms operations in future installments, for next week we’ll discuss those types of skills that militaries train for that support combat without directly killing enemies, like medical and maintenance specialties. Travis C here with a rather sideways example of the distinctions we’re discussing with combat arms. We’ll introduce another related term, combined arms, in future posts. Combat arms is a way to describe the individual components of the military forces within your world-building. Combined arms describes a military philosophy of “combining” two or more of those functions in a way that the enemy cannot effectively defend against one without exposing itself to the strength of another. Also distinct from supporting arms, when two or more of the combat arms support each other in a mutual manner but can be defended against jointly (think of soldiers under their shields as a defense against either arrows or rocks – supporting arms, versus cavalry and archers working together that shields alone might not withstand – combined arms). Before we get to that complexity we need to understand the individual components well enough to describe their strengths, weaknesses, and how they developed into a cohesive force through training. I feel confident we all have a series of books, TV series, and movies that depict the traditional categories of combat arms Travis P described earlier. Whether it’s battalions of orc infantry in formation on the Pelennor fields, the Rohirrim cavalry charging down the slopes outside of Helm’s Deep, the great mobile engines of the Telmarines, the dragons of A Song of Ice and Fire, or the vessels of the fleets of the Empire, the Rebel Alliance, or the Federation, we have many examples that clearly align with our conceptions of these combat arms categories. The fact they exist is clearly shown, though all too often we miss out on the reality of how such units are trained. We only see the great, climactic battle-to-save-the world, and not as often the training that occurred before hand. As much as I hate to reuse an example, Brandon Sanderson really hit this nail on the head with his Stormlight Archive series and the plotline of Kaladin Stormblessed. As we follow Kaladin through the first two books, he is a slave in one of the armies campaigning on the Shattered Plains. One of the worst duties for slaves was to be part of the bridge crews used by certain Brightlords to cross over the chasms common to the Plains. Without bridging units, the regular armies could not cross the chasms to engage in direct action with the Parshendi and capture the Gemhearts much sought after by the Alethi nobility. Since the Parshendi are indiscriminate in their targeting of troops, and the bridge crews are provided no defenses, this duty is effectively a suicide mission. Kaladin recognizes two challenges the bridgemen face. First, there is no organization and training involved with their role. It’s chaotic every time a bridge departs, with limited order provided by the slave masters. Second, without any hope of surviving, there is no motivation for the crew to do anything other than the minimum possible. After all, why try harder if you are only going to die? Sanderson uses this context to provide a plotline that follows Kaladin as he leads by example and trains himself first, then others in basic military disciplines and builds cohesion within Bridge 4. Slowly, results begin to show. More of the men survive each bridge run. Minor changes result in significant improvements to their odds. The discipline builds up a sense of camaraderie among the bridge, and Kaladin is able to demonstrate the effectiveness of his methods in training for other bridges. 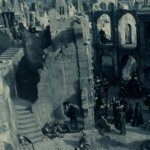 A severe conflict is raised between the Brightlords of Sadeas’ camp, the lord who primarily uses slaves as bridge fodder, and Kaladin who is trying to save as many of his brethren as possible. 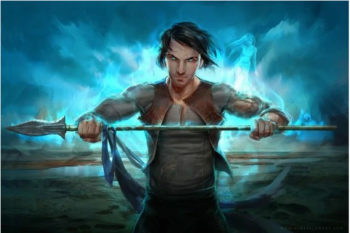 Kaladin also goes on to train his bridge crew in the use of the spear. He falls back on his own soldier training from his previous life in Lord Amaram’s army as a means of further developing the basic skills his team can rely on. The spear represents a useful tool on the battlefield, a means of standardizing a training regimen, and a way to baseline the troops. If nothing else, they can all use this most basic weapon and contribute as members of the infantry. It’s only later in the storyline that we see the crew introduced to new weapon systems (like one member gaining Shardplate and a Shardblade) and assuming their role as guard force. Something that should stand out is how those soldiers evolved from beaten-down slaves to an elite bridge crew to training spearmen to trusted guards. Sanderson shows us that development over a long, winding, maybe overly detailed story that helps us bond with favorite characters and invest in them, creating an even greater emotional commitment to a simple storyline of two races at war with each other. Any of these can make a great plotline, even simply backstory, for your characters who come from or are involved in a military setting. 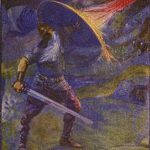 And as Travis P mentioned, your unique world-building will have new opportunities to do the same, whether it’s magic, a new weapon system, or other plot elements. 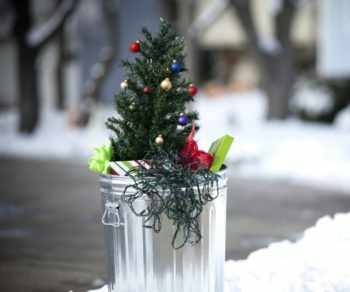 The Christmas season is over. But Christmas is always around the next corner. Last year’s growth at Speculative Faith, Lorehaven, Realm Makers and many Christian-fantasy portals gives us cause to celebrate. This year proved quite the boom season for fans of Christian fantastical fiction, and we here at Speculative Faith have been thrilled to take part in this journey. 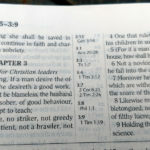 And for me personally, I look back and wonder if God may finally be providentially arranging many, many more readers who will embrace and take joy in unique fantastical novels made by (and sometimes for) biblical Christian readers. Here’s why I draw this exciting conclusion. Speculative Faith has grown fourfold! In 2018, Speculative Faith more than quadrupled our outreach. We had four times more readers and page views than those totals in 2017. Of course, this doesn’t compare to a general-interest Christian ministry site. For those, readership extends into the millions, and their page views are even higher. But for a comparatively “niche” site staffed solely by volunteers, it’s amazing. 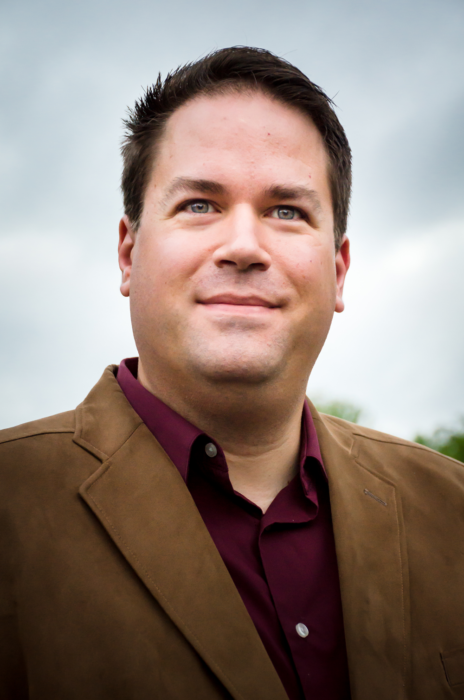 Travis Perry, Bear Publications owner, who’s just finished his first year as a SpecFaith regular writer. Not to mention our dozens of stellar guest voices. This year, we featured many new authors writing on Fridays and occasionally Tuesdays. We found these creative folks thanks to their books that we positively reviewed at Lorehaven Magazine. In the fall, we added custom advertisements for each SpecFaith regular writer. As site webmaster, I’ve continued to hone the website’s best layout yet, which we debuted in summer 2017 when SpecFaith and Lorehaven joined the same system. In 2019, this creative work could reach even more readers. Please pray that it does! Subscribe for free and download the winter 2018 issue today! 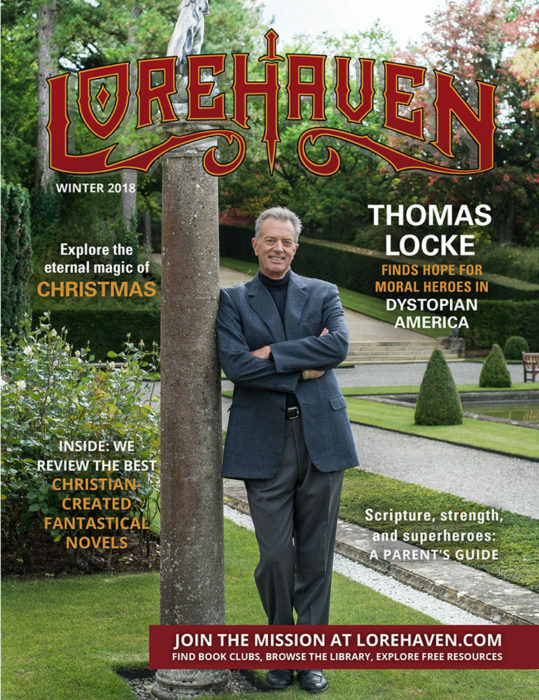 We closed the year with our four inaugural issues of Lorehaven Magazine. Our mission: to serve Christian fans by finding biblical truth in fantastic stories. Book clubs, free webzines, and a web-based community offer flash reviews, articles, and news about Christian fantasy, science fiction, and other fantastical genres. Subscriptions are free, online, and ad-supported! We featured the magazine last year at the incomparable annual Realm Makers event, hosted in 2018 at the Sharaton Westport Chalet in St. Louis, Missouri. We’ll return to the same venue this July for Realm Makers 2019! This year, we plan more conferences that are geared toward Christian readers and fans. These are the fans—many of them young, some of them homeschooled—who will embrace Christian fantastical fiction in coming generations. Watch this space for news about Lorehaven Magazine. Soon we will announce our first contest, partnering with the publisher of our recent reviewed novel. And although every Lorehaven issue is free (with a free online subscription), we’re also making our spring 2018 issue completely public this month. You can’t get great Christian-made novels, and build joyous fans for them, without events and professional development to train these stories’ authors. For Christian fantasy writers, the best resource for their trade is Realm Makers. That goes whether you’re writing for fun, or have bigger, professional aspirations. In 2017, Realm Makers jumped from its usual venues of university campuses (alternating in St. Louis and Villanova) to its first resort in Reno, Nevada. Last year this Christian-run conference for fantasy writers returned to St. Louis for its best venue yet: the charming and almost fantasy-themed Sheraton Westport Chalet. Attendance at Realm Makers has increased each year. So has attention from top creatives past and present, such as keynote speakers Thomas Locke (2016), Ted Dekker (2017), and Mary Weber (2018). If you’re a Christian who loves fantasy, and/or fantasy writing, join us this July 18–20, 2019, in St. Louis for Realm Makers 7.0! This year’s keynote speaker will be the bestselling novelist Brent Weeks. They’ll have folks like Ted Baehr—yes, MovieGuide’s Ted Baehr—on faculty. Several news stories earlier this year remarked upon this trend: that while big-box booksellers suffer (thanks to Amazon), indie bookstores are bucking this trend. This is fantastic news for book fans (and authors). It’s also news that churches and Christian groups, ought to see as opportunity. Pastors? Christian benefactors? Small business owners? This is your time. Step up, step right up, and start a small bookstore in your town. Not your gramma’s “Christian bookstore.” Instead, start an Inklings-type bookstore. Make great coffee. Make better conversation. Offer fiction and nonfiction on loan, to buy, or to print on demand—books not about sentimentalism or “Churchian” culture, but about the great themes of Scripture and the historic Church. What a great way to help your community and to share the fantastical Gospel. Social media, especially Facebook, did not have a banner year in 2018. Skip all the political talk and just note that younger people (sometimes called “Generation Z”) don’t think Facebook is “cool” anymore. On a personal note, each of my siblings has a Facebook account, but I’m likely the heaviest user of the platform (mostly for SpecFaith/Lorehaven purposes). You can draw a line between siblings age 23 and below, and none of them often use Facebook. Anecdotally I wonder if people have simply begun to see Facebook in perspective. Yester-decade, the platform was all new and shiny. It was going to teach the world to scroll in perfect harmony. Today, the luster has dulled. 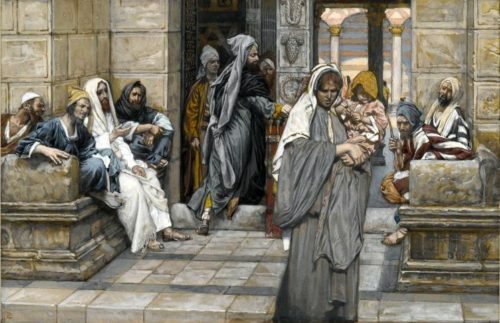 We see the gift in better perspective—not an idol, but a plain glass reflecting humanity and all its flaws. Mind you, I won’t jump ship on Facebook. In fact, this year I made my profile public. Stop by, say hello, pass your friend request. It’s still a great means to other ends. But—to other ends. Like real-life conferences, church membership, and friendship. As this continues, more people will be intentional about limiting their idle Facebook scroll time. They’ll find apps, habits, and other people to help them use their time more wisely, with or without screen devices. They may even read … books. I haven’t seen this commented upon, but I’ve long wondered whether the reported slowdown in book sales is related to the growth of streaming media. Anecdotally, this would make sense. Yesterday, I could only browse the internet at home, but I could take my books anywhere. Today, I can take my phone with me everywhere. On this phone, I can read and watch TV, and in places with WiFi (I still don’t have unlimited 4G), I too frequently drift to the YouTube and Netflix apps. Fortunately, this may be changing. I am seeing more articles about the expected “peak” of today’s supposed “golden age” of TV streaming dramas. As with social media, their novelty may be dulling. In my personal case, my wife and I dropped several TV shows in 2018. (These include several of the seemingly endless, and increasingly Sexualityism religion–juked, superhero dramas.) Thanks in part to our Lorehaven work, we read many, many more books, including physical copies. If others feel similar disillusionment, they will, again, return to reading more books. Amazon is still making a multimillion-dollar Lord of the Rings–based fantasy drama. Among newer authors, we just heard last month that The CW is making a series based on Christian novelist Tosca Lee’s book The Progeny. Locke said he will continue to pursue this goal of moral storytelling, whether in sci-fi like Enclave, or in his other stories that have attracted the attention of TV producers. This February, Locke visits Los Angeles to discuss two adaptations moving forward. 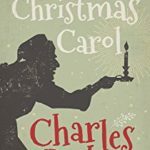 No matter the author (classic or contemporary), and no matter the “explicitness” of his/her faith, these adaptations will only serve to remind us that the best Christian-made fantastical stories will, with God’s blessing, make inroads in our culture. Lastly: I’m launching my own web portal. If you’re here, you’re a fan (to some degree) of biblical truth and fantastical fiction. As a fan, what do you eagerly expect in 2019? If you’re also a writer, about what are you most excited? How can we pray for your pursuit of Jesus and his gifts of stories this year? In part I think the love of speculative fiction grows from the need in the heart of each one of us for a person stronger, better, more capable, committed, willing to put his life on the line for others. We long for rescue—for ourselves, for our community, for the world. We love the idea that Someone will bring justice when we see no hope, when we are convinced that the bad guys will win, when we see devastation wrecking havoc in the face of our helplessness. Speculative fiction of any stripe more often than not, includes heroes or superheroes. It’s part of the trope of the imaginative worlds speculative authors create. For the Christian author, these heroic characters point to God or to Jesus Christ in some way or another. 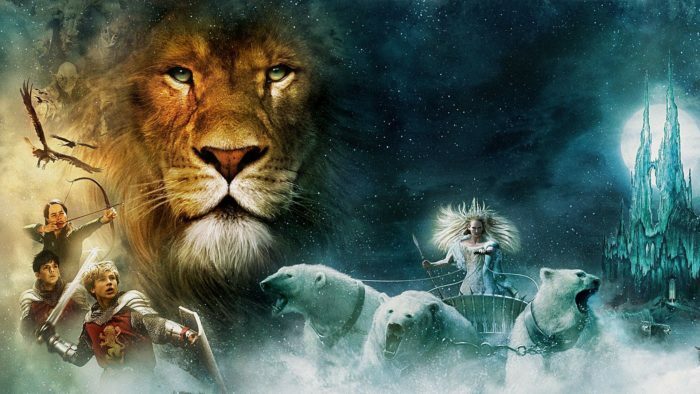 For example, in C. S. Lewis’s Narnia books, Aslan is the author’s answer to “What would God look like in this world?” In other stories such as Superman or Captain America, fans and readers or viewers who are Christian, if not the creators of the narrative, see the Savior depicted by the fictitious savior who does a sacrificial act to rescue those in danger. 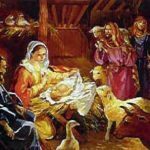 In the grand story of the world’s history, a story that paints in blindingly bold colors the realities of original sin and man’s fallenness, Jesus is the only hero. So I wonder, what do most speculative stories today tell us about superheroes or heroes? But is that all today’s speculative stories are telling us? One kind of story tells us we all have secret powers that we can uncover by looking within. In other words, despite appearances, we actually are the superheroes of our own stories. Another kind of story tells us that whichever of the superheroes we need at the moment or turn to in our desperation, is the superhero that will save us. If we need the Hulk, then he will save us. If we need Thor, then he’ll come to the rescue. If we need an entire organization, then S.H.E.I.L.D. will band together to protect us from the forces that aim for our destruction. In other words, there is no one hero that will point to God. If anything, this type of story may suggest that there are many gods and any one of them can be our way to salvation. Recently I was reminded of a verse in Scripture that I as a fantasy fan find particularly meaningful, though clearly it was not meant as fantasy at all. It’s real and in the original context is powerful and comforting. It points to a hero. Imagine! A Victorious Warrior! And He doesn’t stop with the rescue. He exults and loves and rejoices over those He’s saved. He’s involved, in a relationship kind of way. What I think is especially powerful is that Jesus tells us in the Sermon on the Mount, we are to seek His kingdom—the kingdom of the Victorious Warrior—and His righteousness, as our primary goals. I have to ask myself at this turn of the new year, what will seeking the kingdom and righteousness of this Victorious Warrior, this One and only real Superhero, look like?